Diabetes Coordinator at major Denver Health Care System, Denver, CO since March 2016. Inpatient Clinical Dietitian at major Denver Health Care System, Denver, CO since December 2014 till March 2016. Fitness/Nutrition Coach at Daily Burn Inc. since December 2014 till May 2017. 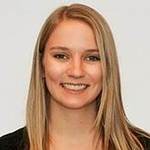 Stephanie Troxell is a Registered Dietitian currently working in an outpatient hospital clinic in the Denver, Colorado area. Stephanie received her training in the world-class Texas Medical Center in Houston. During her time there, she simultaneously earned her Master’s degree in Nutrition from Texas Women’s University while also completing hands-on clinical training in one of the largest medical centers in the world. Stephanie is a lifelong learner, which has led her to obtain advanced credentials as both a Certified Diabetes Educator and National Board Certified Health and Wellness Coach. She specializes in theories of behavior change and adult learning, and has assisted thousands of clients from around the world in uncovering their own unique sources of internal motivation in order to promote lasting healthy habits.